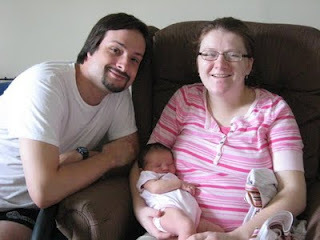 Wife, Mummy, Nurse: Our Second Anniversary is Today!! 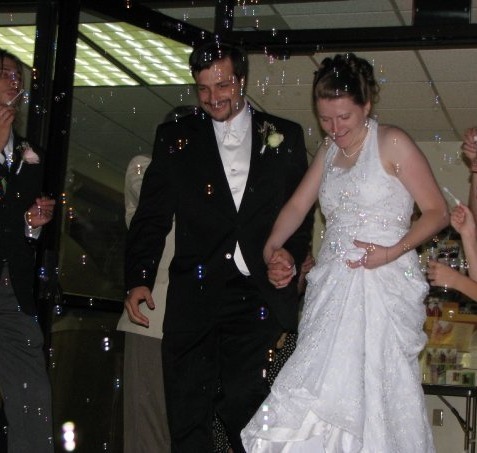 2 years ago: My husband and I were newlyweds. We had only been married for a few hours. We had the privilege of being married by my Uncle Blair from Northern Ireland. The dress I wore was made with love by my mummy. We were surrounded by many friends and family and had a wonderful day. have NO idea when that will be. 1 year ago: We had an early anniversary present-our daughter. My first 24 hour day home from the hospital was on our anniversary. I remember crying with my mum at our dining room table around 6:00 am. I did not get any sleep the night before because my daughter realized she wasn't in a warm, cozy environment-my womb-any more. before, but it was taken on our anniversary. Today: I went to church with my husband and daughter this morning and hope and pray my husband and I have MANY more years together. A very happy anniversary. Look at that Baby Charis. Your mom did a beautiful job on that dress. Glad you had a nice day. A most happy anniversary to you and your husband! We just celebrated our 19th on the 22nd -- August must be a popular month for weddings, eh? I agree, a lovely job by your mom!